I was channel surfing the other night, looking for background noise for laundry folding, and ended up watching Elizabeth for the millionth time. I love this movie. I think it's a must see for every woman. If you're looking for pristine historical accuracy, this is not your movie as the filmmakers certainly took liberties in places where history is unclear as well as in places where the story is pretty firm. A history lesson should be low on the list of things gained from viewing this movie - there are documentaries and books for that. This movie could be about any female monarch, or CEO, or teacher, or mother - any woman who is thrust into a leadership role and is baptized by fire trained on the job. 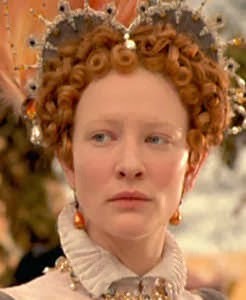 In Elizabeth, Cate Blanchett (love her. 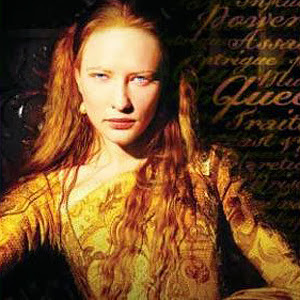 LOVE HER) is the titular Queen Elizabeth I, who assumes the throne after her siblings who were in line for it first die. 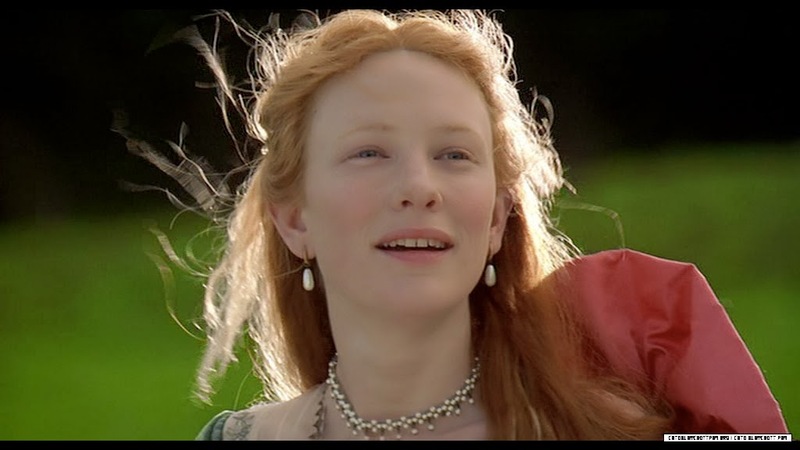 Elizabeth I is young and engaging in an affair with a married man when she ascends (spoiler: in the movie, she doesn't realize he's married. In history, it's commonly accepted that she did know). She's the picture of innocence and inexperience the day she is acknowledged as queen. Nevertheless, she perseveres. Her betrayers are beheaded. Men who provided ill counsel are demoted or sent away. Mary of Guise, who was angling for the throne herself, is poisoned. Elizabeth cuts her hair, slathers on white makeup, and holds a wedding for herself to marry her people and it is absolutely fabulous. Elizabeth objects to the idea that she must marry and breed to be a legitimate queen. Though unsure of herself at the beginning, she eventually realizes that she is a legitimate queen because she IS A QUEEN. And she need neither marry, have children, or engage in any other conduct for it to be true. A favorite scene is when she calls out an old adviser who continually pushed her to marry. "Observe, Lord Bromley," she says, flashing the ring on her finger. "I am married. To England." The lesson is strong and clear: women - you are already fabulous, already talented, already wise, already in charge. The only person you need convince of that is you. As for the rest of them? Off with their heads. Well. In sixteenth century England, maybe. For today I suggest just not returning texts and stuff.